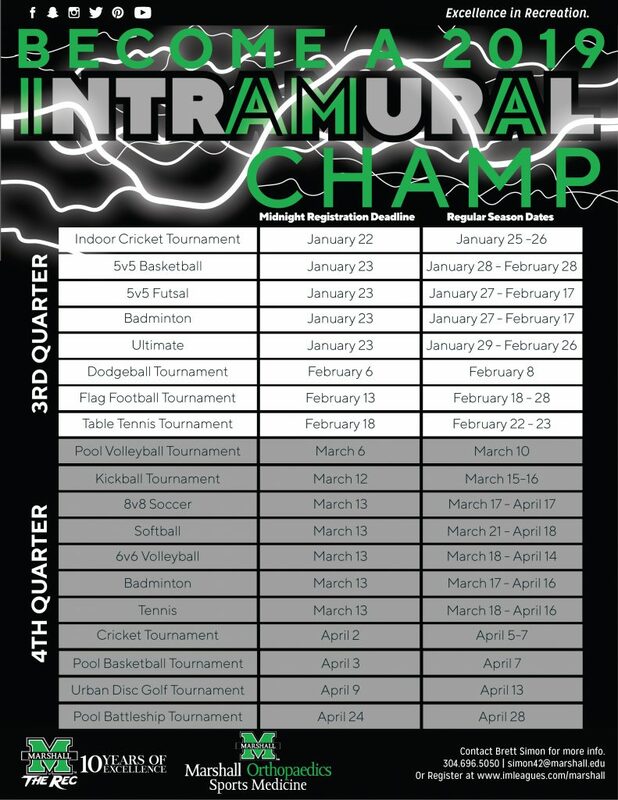 Intramural Sports provide Marshall University students opportunities to participate in organized sports and recreational activities. Each semester we provide a variety of sport leagues or tournaments. Divisions are available for men’s, women’s and co-rec teams. Participation is fun and promotes healthy living as well as social interaction with the Marshall Community. Games are played Monday through Thursday from 5 pm to 11 pm and on the weekends. To participate, create an account and register on IMLeagues. On this site you can register yourself, create a team, or find a team. Game schedules are posted along with updates on game cancellations and special events. Individual and team standings are posted here within 24 hours of play. If you love sports and want a fast-paced job that keeps you involved and active on campus, consider working for Marshall Recreation IM Sports. We are always looking for knowledgeable and responsible individuals to join our staff. See all our employment opportunities here. Join a Marshall University Intramural League, see schedules, or download handbooks. 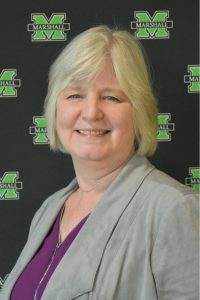 Intramural events are open to all currently enrolled Marshall University students, faculty, and staff who have paid the respective usage fees, meet the University’s eligibility guidelines and are in good standing with the University. If you have an active MU ID number, you are free to play!